One for the yearbook, one for fun with Hank's Hats inbetween. SteepleChase Clinic: ** CANCELLED ** (see link to left for more info). Dec 28 & 30 at 3:30 at Lynbrook HS track. Will teach techniques and actually go over barriers. In Jan, we will practice water jump at WVJC and on Jan 16th we'll run a 2000m Steeple at DVC - FREE. SCVAL Post-Season Coachings meeting: Minutes can be found at the link on the left. 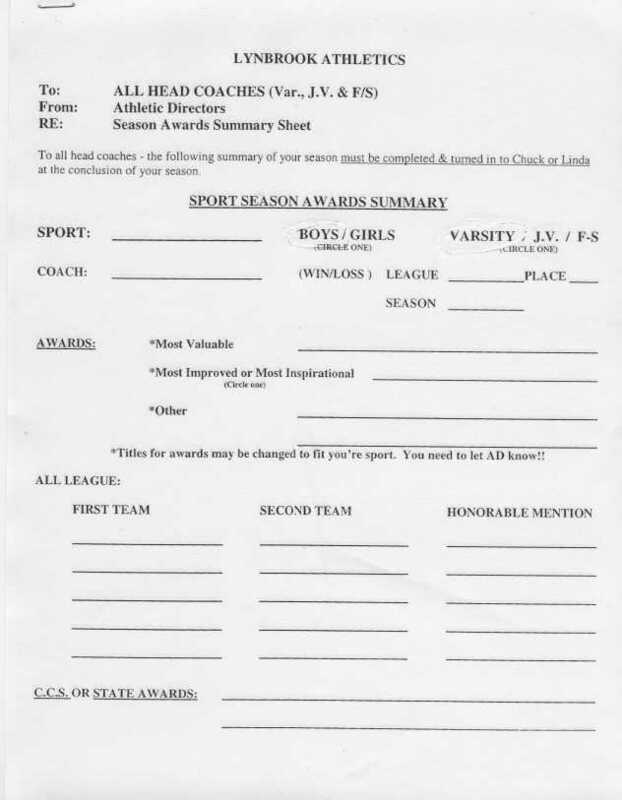 Los Gatos HS: Head Track Coach & Distance Running Coach needed for the 2010 track season. If interested, or if you know someone that might be interested, please contact Willie Harmatz at 408 206-9973 cell, or 408 354-7365 at work. It is a paid position and the season goes from Jan. to June. 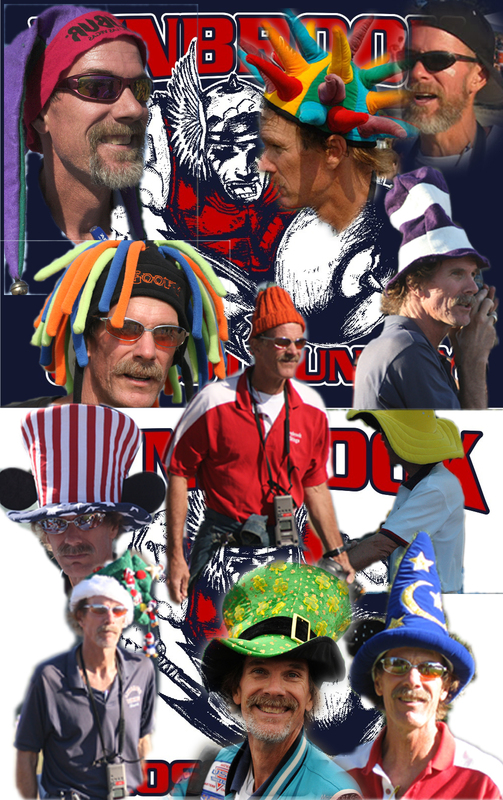 Seniors Collage: An annual tradition. NorCal Clinic: The 2nd Annual NorCal Distance Coaches� Collaborative Round Table. Ryan & Sara Hall Interview: Would you like to be part of a radio audience to ask Ryan & Sara Hall questions? Your opportunity is coming this Thanksgiving. Looks like it's the Wed before Thanksgiving at Mtn View HS. Time 5:00-6:00 & Room 410 - check the link to the left to reserve your spot. 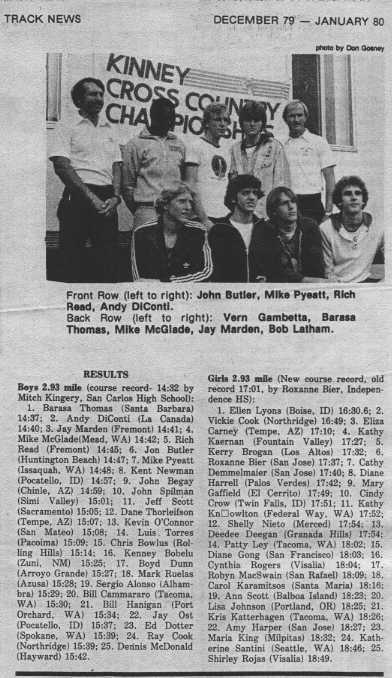 1979 Kinney Western Regionals: Was just sent this YouTube link of the 1979 race run at Crystal Springs. A home video of the guys race (and a little of the ladies, showing someone actually with Ellon Lyons just past the mile) - check it out. The actual results are here. The winner, Barasa Thomas, has since 'passed'. San Jose Mercury - Athletes Of The Week: Both are XC runners this week. Paul Summers (Gunn) and Allison Sturges (Mtn View). PAUSATF Fall Newsletter: Check out what's going on in the Bay Area. Cardinal Track Clinic: Slated for Jan 18th at the Mt Pleasant HS campus. XC Dual Meet Results generator: Meet Directors, tired of taking hours to generate your meet results after a cluster meet? I've created an Excel file (using a Macro written in VB) that makes creating results less time consuming (I actually use it to time/score League Meets). Ctrl-S is the command that does the calculations. The link to the left is the Excel file (be sure to say YES to enable Macros and read the INSTRUCTIONS tab to see how it works) and this link (Partial WBAL Results) is what it can generate for you. If you have any questions or suggestions on how to improve it, let me know at HANKLAW@IX.NETCOM.COM - enjoy. Sacramento Track Clinic: A bit of a ways to go for the Bay Area folks but you might want to check it out. WBAL/PSAL Athlete ID #'s: These are your race #'s for the League Finals. The race # will be in your packet, race day. Email me any corrections. SCVAL Ruling: Senior Boys are not allowed to compete in the JV Division at League Finals - background and what you can do. 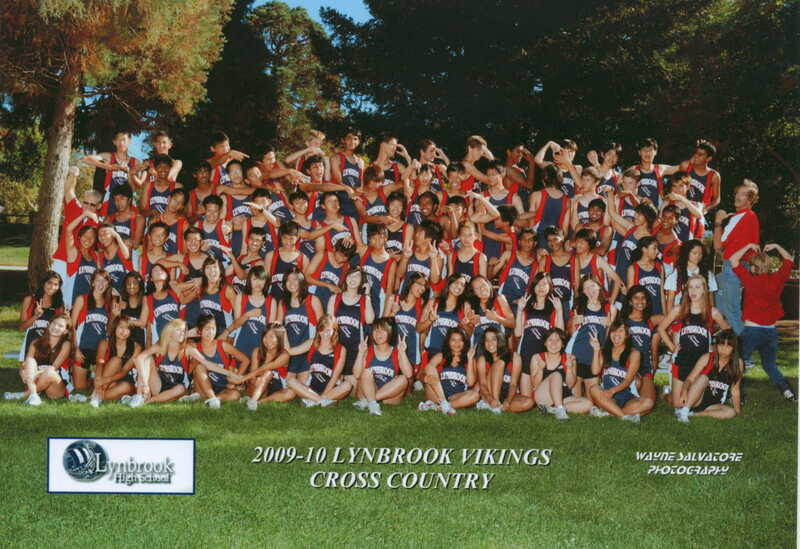 Athlete ID #'s: For Lynbrook athletes, you will neet to know your #. Octoberfest 5K: Campbell holds their 2nd annual 5K with 464 registered runners. Monterey Bay (Fri): Great day for the Vikings with wins in Varsity & JV Boys, 2nd places in Varsity & JV Girls and a 3rd (by 1 point) in the F/S Boys. Rallye Run: Was a 4-way tie for first so it came down to who could best guess the distance of the course - off by .08 miles was the team of Boris, Ryan, Kirk, Hardas, Matthew, Michael & Vivian. Scavenger Hunt: It was a record breaking year with 334 pieces of trash that began with the letter "M" being picked up (Moldy, Mayonaise Toast being the grossest) off the streets of San Jose. When all was said and done, there was a tie for first with 53 pieces each by the teams of "Richard, Madhav, Massa, Ian, David & Alex" and the other team of "Sylvia, Kristen, Alanna, Michelle, Meghana, Shaelyn and others". The competition is heating up with just the Rallye Run and Hash Run remaining. Luca Signore (Lyn): Cross-Country Express interviews the Vikings #1 guy runner. Mt View Story: SJ Mercury News does story on Mt View that "has quantity and quality". Central Park Invite: Guys & Gals win team titles. Luca & Cindy both grab 2nd's. Stanford Invite: Luca grabs 2nd overall. Lynbrook sees what it's like to run in a BIG TIME race. Trivia Run: has the Sophs at 21, Freshman score 24, Juniors hit 26 and taking the win (and bag of candy) were the Seniors with 35 points. Saratoga Invite: Great day for the Vikes. Individual winners are Luca Signore (VB) with a Course & Site record (9:50.8), Lila Haba (FSG), Ian Wilson (FSB), Grant Gustafson (JVB) with unofficial firsts in VB, VG and FSG. Iolani Invite: Guys take 2nd, Gals take 3rd. Luca gets the individual win. Crystal Springs: Center Meet information for 2009. Firebird Invite: course map for Firebird that is hosted at Cupertino HS for 2009. Lynbrook Center Meet: Erin Hicks (Los Altos) and Luca Signore (Lynbrook) take the wins. Signore set a new Course Record with his 10:13.9 clocking. Montgomery Hill All-Time List: Thanks to Kevin Liao (Evergreen alum) for doing this. SCVAL Pre-Season Coachings meeting: To be held on Sept 8th at 5:30 at the Wilcox HS teachers lounge. Pre-season Training: started with about 55 athletes showing up to run. 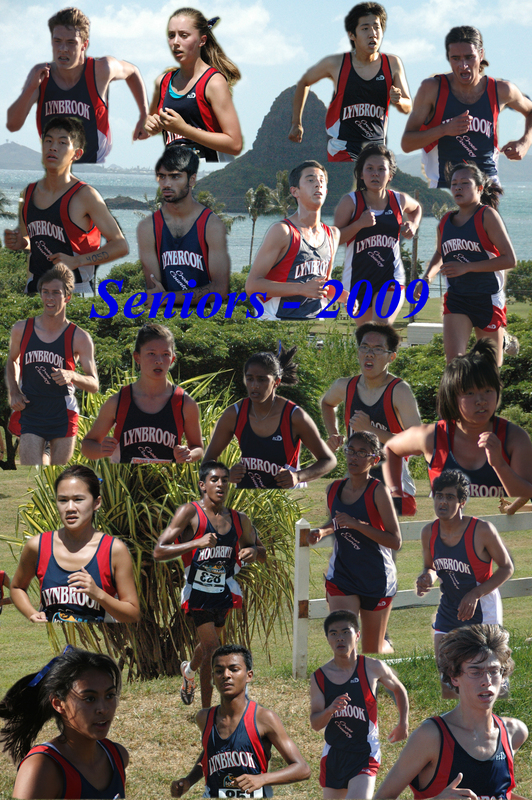 XCStats 2009: is loaded with new features this year including the ability to search the massive database of individual and team XC results. And they are running a promotion for new subscribers where payment is optional! You can use XCStats all season long for free! But hurry, the offer expires on August 29th. Check it out. Update #5: Pre-season workouts begin this Mon (17th) at 9:00am - bring your Health Card so you can run with us - see you there. All Results of LGAC's: The Los Gatos Summer All-Comer Meets. Results 08-06. Update #4: More info on Hawaii - get those forms in now, don't wait. Permission Form: If going to the running camp in Felton next week, the Camp Permission Form is on the left. Running Camp Pix. 2009 XC CBEDs: Pending BOM approval, these will be the CBEDs for the 2009 XC Season. Note that the top 3 teams in D2, D3 & D4 for the Boys will all be moved up a division for the Girls (ie Gunn, Woodside & Fremont are D2 for boys but D1 for girls). Update #3: More info on camp and forms needed for Hawaii. New Lynbrook Fields: Thanks to Measure "B". Jim Sorensen: of San Leandro takes down two LGAC Masters Meet Records (1:55.78 in the 800 & 4:18.49 Mile). California Coaches Alliance: NorCal Coaching Clinic on July 25th. Update #2: Come run with us starting June 22nd - and look what we have planned, a Running Camp and HAWAII! 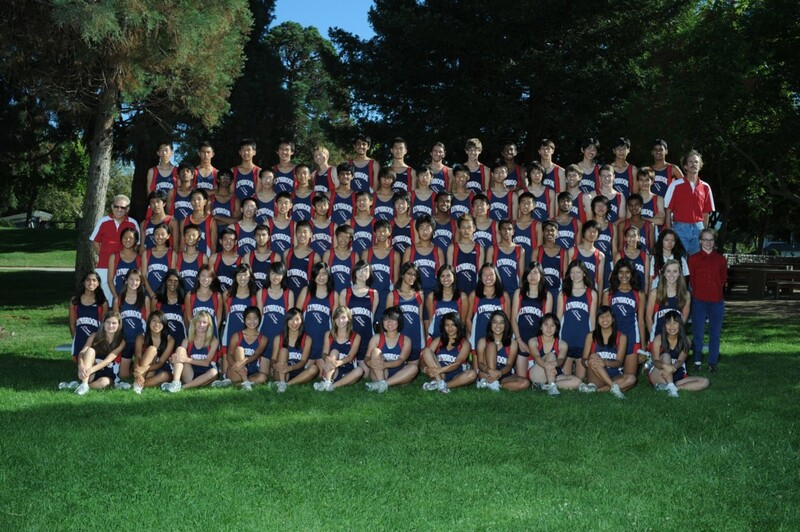 Gunn HS: is looking for an assistant cross country coach for this upcoming season. If interested, please contact Ernie Lee (ernest_lee@sbcglobal.net) for more information. 2009 Track: Still looking for 2009 Track results (GWI, NON,...).